Shell Oil Co. executives confirmed Thursday that the oil and gas giant intends to sell one of California's largest pipeline systems, one that carries crude petroleum from oil fields in the Central Valley to refineries in the Bay Area. The move comes over a year after state regulators called on Shell to replace parts of the 265-mile system of lines, following a series of oil spills in eastern Alameda County. The possibility of a sale has sparked concerns from local environmentalists who caution the pipeline's new owner may try to increase the flow of oil to the region's refineries, increasing the risk of additional spills. "If Shell sells the pipeline, good riddance to Shell," said Hollin Kretzmann, an Oakland-based attorney at the Center for Biological Diversity. "But if the company taking over those operations continues or expands oil production via that pipeline, we're no better off," Kretzmann said. 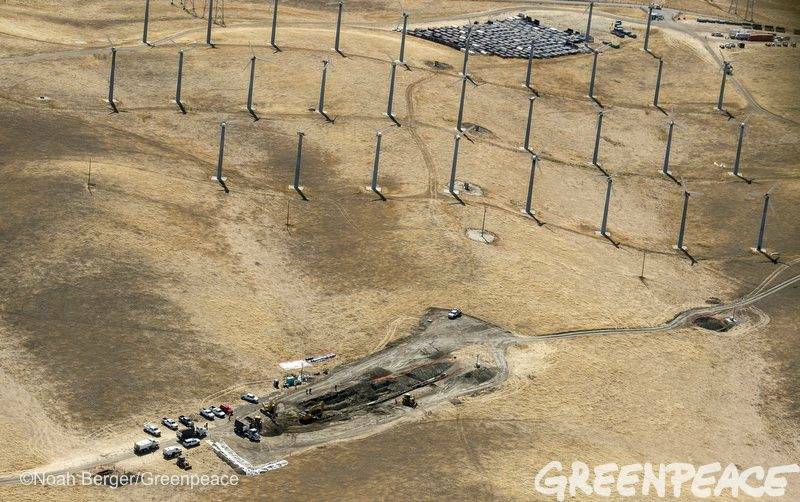 Shell's San Pablo Bay Pipeline ruptured, causing oil spills between the Altamont Pass and Tracy, in September 2015 and May 2016. The spills led to the release of about 60,000 gallons of crude on grassland near Interstate 580 and resulted in more than $6 million in damage, emergency response and cleanup costs. Investigations into those two spills led the Office of the State Fire Marshal's Pipeline Safety Division, a unit of Cal Fire, to push for a pipeline replacement for the first time. The potential sale was first reported by the Bakersfield Californian. On Thursday Shell spokesman Ray Fisher confirmed the company's interest in selling the line. "Shell Pipeline Company LP has determined to market its California crude pipeline systems," the company said in a statement emailed by Fisher. The company decided to put the system up for a sale after "an extensive and thorough review," Shell said. "During this marketing process, we will continue to operate the pipelines with the core values of commitment to people, safety and environment," the company said. Shell's San Pablo Bay crude pipeline system can carry up to 210,000 barrels per day, which marks the largest throughput capacity for a pipeline system in California, according to the California Energy Commission. It is unclear which companies plan to bid for the pipeline. The Californian reported that likely bidders include Crimson Midstream and PBF Energy. Both companies did not respond to a request for comment. Chuck Rice, a spokesman for another oil firm, the Marathon Petroleum Corp., said that as a matter of policy, the company "does not respond to market rumors." The company's interest in selling its pipeline comes amid increased scrutiny on the safety of some of the state's pipelines. And it comes weeks after Gov. Jerry Brown signed legislation that calls for California to use 100 percent clean energy by 2045.